Most of you are adjusting to reality in the 5th dimension by simply allowing yourself to be with the fullness of who you are and noticing the full opening of your heart, and how you are more in your heart consciousness than you ever have been before. What you are also doing is being catalyzed mightily by every single atom in the universe to create. So, part of your Ascension process, and part of the claiming, awakening, anchoring of your full heart consciousness, is this recognition brought into physicality of your ability to create. 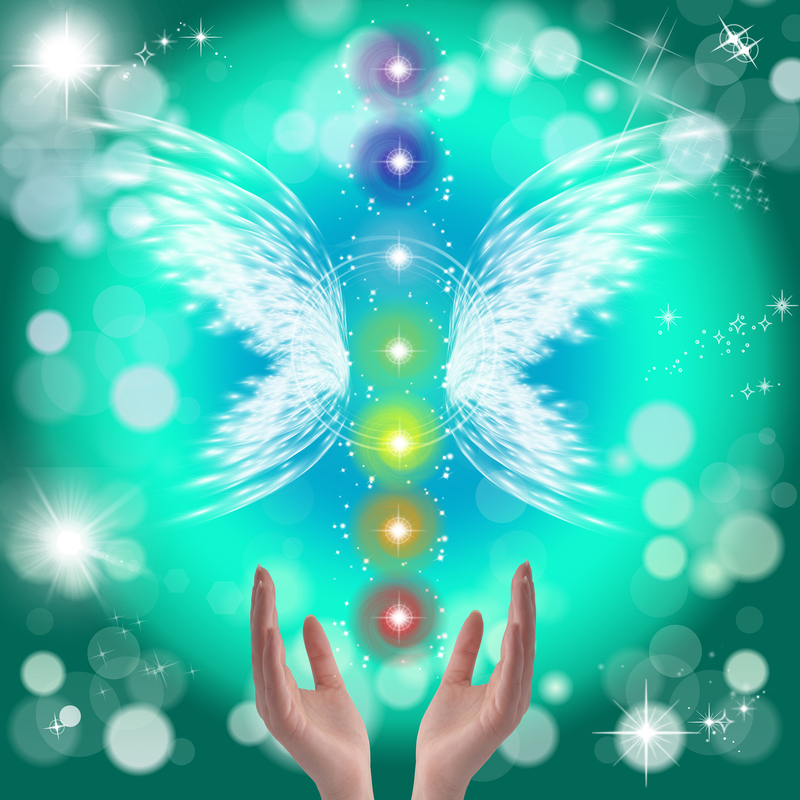 GD: Hello, and welcome to An Hour with an Angel, with Linda Dillon, the channel for the Council of Love and author of The Great Awakening, and Steve Beckow of the Golden Age of Gaia. It’s a pleasure to be with you! I’m GD. Our guest today is Archangel Michael. So with that I’ll pass it on to you, Steve. Steve Beckow: Thank you very much, Graham, and welcome, Archangel Michael. Archangel Michael: Greetings. I am Michael, archangel of love, warrior of peace, and welcome to you, welcome to each and every one of you. And I welcome you to share in the joy, to share in the laughter, to share in the expansion, the truth, my bright blue flame. I am pleased to be with you during this time of expansion and change, of anchoring in the new reality of this golden age of Gaia and the sweetness of this planet. I know there is much you wish to discuss this day, and that is why I preface our remarks, for you to understand, each of you to understand, that in the expansion of your field, of your energy that a great deal is being shifted, grown, changed, anchored. So look to that as well, my friends, when you look for elements of change. Look within and see how you have changed, how you have grown, how you feel, react, engage, take action, how that has shifted. Welcome, Steve. SB: Thank you, Archangel Michael. Thank you. AAM: Welcome. Where do you wish to begin? SB: Well, before we turn to our main subject, which is the full restoration of consciousness, may I ask you to comment on the meteor that hit Russia? You said to me in a private reading on March 8 that it would have caused a new ice age. Can you confirm that for our listeners, and perhaps give us a few more details on the process by which an ice age would have resulted and how it was prevented? AAM: No, what I have said to you is that the only reference point you would have for the catastrophe and damage that this meteorite would have caused would be the occurrence of a new ice age. Now, this occurrence of the meteor was very close to Earth, obviously, and it was through the generosity and intervention, the ever-present vigilance of your star brothers and sisters that this occurrence has not taken place in the, shall we say, the fullness of its potential. So, while there was some damage and some injury, it certainly was not of the level that was possible. It was also the opportunity to look up and to see very clearly the intervention and the protection in so many ways. But you are always asking for visible signs, and this was one of the more visible signs of intervention by your star brothers and sisters. It is an element of Disclosure whether you choose to think of it that way or not. It simply is. What would have happened if there had been full impact on the planet? The damage would have caused catastrophic changes and climatic changes. So that is what I am inferring … inferring to. And yes, it would have been similar to the shift and the wobble of the axis of the planet. It would have changed the center point of Gaia. And the climate changes would have been very, very dramatic and destructive to the populace of the human race, which is already in the process of change. So it truly would have altered the progression of what you are already in the middle of. AAM: Let me also say this. The physical impact of this meteorite, of this matter, would have been geologically and physically what you would think of as disaster and catastrophe. But the bigger catastrophe, the bigger setback would most definitely have been that it would have caused, umm, the greater portion of humanity, of the collective, to go into not only a place of fear and survival, but of bringing their attention back to matters of migration, of change in geological topog… yes… topography. And it would have taken away the attention from what they are currently undergoing and so the shift in the consciousness of humanity would have been sidetracked; and from our perspective that would have been an even greater catastrophe. So what happened, the intervention that has taken place by your star brothers and sisters has prevented catastrophe on many, many levels. And there are not very many upon the planet that we have observed that have said thank you, or expressed gratitude to the forces that have intervened. Which is curious, is it not? SB: Yes, Lord. Let me say thank you for them. And we’re becoming familiar enough with the galactics that perhaps we could know now which ships did what. Was it Pleiadian, Sirian, Arcturian? How did they do what they did? It looks as if they went right through the middle of the meteor. Is that correct? AAM: Yes, that is accurate. You know that it was primarily a Pleiadian effort, but there was certainly support from the Arcturians as well and the… what you think of as technology. You know that the ships are very organic, they are living, they are sentient, cooperative beings, but they also have the ability to create forcefields, what you would think of as shields that can withstand not only pressure but temperature, fire, anything you can think of. And the only way to dispel this was to go right through the meteor itself. Well, it was the most effective measure. Because one of the things that they did not want to also be seen doing is using their laser, what you would think of as their laser technology to explode/implode the meteor, because it would look and be trackable as a beam of energy. And that could be construed as a weapon. So, that would not do in terms of a strategy at all. Because whether you say that the humans are ready or not, there are still powers that be and individuals that would think that this would put them in a danger zone. So, that is also why this strategy was used. It also gives a very clear message to the human beings. Because from their point, their perspective of understanding, to witness or to see a video of a ship going through a meteor, to them, on the subconscious level, translates as, “Our star brothers and sisters are willing to sacrifice themselves and die for us if necessary in order to protect us.” And that is a powerful message and a very true one, by the way. SB: Well, it certainly deserves our thanks. And I can’t help remarking on the irony of it. We’ve seen movies like Deep Impact which have tried to get us afraid of this end-of-cycle period, and in that spaceships bring down the meteor. And here we have an event that could have been a catastrophe at the end of the cycle and the star brothers and sisters have protected us from that catastrophe. So it’s deeply ironic. AAM: There is no irony in this, dear heart! AAM: Do not think that many of these ideas that your various forms of media or entertainment, so-called entertainment, comes up with… they are often planted. SB: Yes. And in them often the extraterrestrial beings are represented as predators. And here they have in fact saved the Earth in a very real way. AAM: Yes. This portraying of the star beings of all the various stripes, colors, nationalities, lineages, forms, are not predatory. That desire to create the external enemy, still, as you well know, is done continually in a very real and terrible sense upon the planet, between nations and belief systems. And so there is this human desire — which is being worked on and shifted, both by you and by we — to feel that… you have need to have an external enemy to prove that you are the king or the queen, that you are victorious, that somehow that is a measure, and a somehow valued measure, of power … is very sad. So, rather than movies… and there are increasingly films and various forms of entertainment that show the unity and the family and the community of, again, various nations and of your star brothers and sisters, but by and large, that old paradigm is still in the process of dissolution. SB: Okay. Thank you, Lord. That’s very, very helpful. I would hope that the event gets more publicity than it has so far. I’d like to turn to the matter of the full restoration of consciousness, Lord, and the fact that — and I’m talking from the human perspective — the fact that the time of Ascension has been extended shows that there is control over the event. And that leads me to ask if there is a definite plan for the months ahead. And if there is, could you, in as much detail as you can, describe what’s going to be happening over the next few months, what the process is? what the steps are? AAM: You are going to think that I am repetitive, but of course I do not mind being thought of in this way because basically I have only had the same message of love and peace for thousands of eons. So, here we go. Let me begin with this question of control. Because again — and we are talking about what you have referred to as vasanas, what we call, yes, spiritual debris issues; it matters not what language or what tradition you are referring to — but there is a general misunderstanding and misconstruing, in a negative way, which will soon dissipate, of this word called control. And there is a violent — yes, violent — stubborn reaction amongst the human collective when they think that they are being controlled in any way, shape or form. Now, let us speak from our perspective about what is occurring, has occurred and will occur in the process of Ascension. The human collective, the soul collective, wrested control. This is something that many, many lightworkers, light-bearers, love-holders, are shying away from. And I know I have spoken of this before, but I will speak of it again. Many are viewing this wresting of control into the phase of full partnership as something that is negative. We do not view it that way. If it was viewed as contrary or absolutely interfering or disrupting, or attempting to sabotage the Mother’s plan, then it would not have been permitted, and it certainly would not have been seen as a grand gesture. But what we are talking about, before we even discuss this issue of Ascension — which we are very eager to do, by the way — is we are asking you to adjust your thinking and feeling around this word of control. Because what you are saying is, “Well, heaven is still in control. The Mother, the Company of Heaven is still in control, and we are at their mercy.” And that is simply not the case. AAM: … and then think of it as copilots of two massive groups, not even considering the ancillary groups, two massive groups with their hands on the controls. AAM: Now, even from our perspective and in our terminology, Ascension is not some distant reality. It is very current, and it is already underway. And many of you — most of you, whether you realize it or not — are simply adjusting to a different vibratory reality in the 5th dimension. So, much of that shift has already occurred, and now you are becoming attuned to it. Now, in that period of becoming attuned to it you are also experiencing… and that is why I have begun this day by inviting each of you, my beloved brothers and sisters and friends, you who have been part of my legion forever, to look into your internal landscape, and your external landscape, and see how you feel, perceive, think, receive, how it has shifted. Not in a way of judgment, not simply in a way of enumeration, but simply allowing yourself to be with the fullness of who you are and noticing not just merely the subtle shifts, but the full opening of your heart, and how you are more in your heart consciousness than you ever have been before. And that you are allowing and exploring areas and things to occur that perhaps were in a no-fly zone earlier. Now, many of you say, “Well, Michael, Lord, if I look and do that examination of my landscape, I will find that I am still impoverished, I am still broke, I am still in a place of what human beings would call struggle.” And if that is the case — and I know that it is for many of you — I also want you to broaden your perspective. No, I know it doesn’t immediately put food on the table or money in your pocket. But let me speak to this. First of all, many of you who are in this transition are finding that the time lag between creation — whether it is of good health or money or creative process — is speeding up enormously, and that you are embracing it; it is already part of you. And while you tend to — and we understand this — while you look to financial wherewithal as a Geiger counter, a litmus test, of how you are doing, when we ask you to broaden your perspective, we also ask you to look at other ways in which you may be enormously supported, and that you are extending support and community and working in unity. Now, I am not saying to you that money, financial security and security of feeling safe, whether it is because you are in a war zone or an intolerance zone or a financial crunch zone, I am not suggesting that we are so oblivious and ignorant that we do not realize that this is important. Of course it is. One of the basis of being able to feel free to become and be is in fact that feeling of safety, of security, of what you would often refer to as protection. But what I also say to thee, in reference to safety, security, protection, is you are mightily protected. And you are protected not only by your guides and angels, but by the mighty ones, by your star brothers and sisters, and legions, can we say, of unassigned angelic beings. So, there is a great deal going on holding you in a position of safety, even while you are working through these feelings that need to be released, of not feeling safe, of not feeling supported. And this is particularly true of the wayshowers, and yes, the gatekeepers — well, although most of them are already anchored in the truth — and certainly the pillars. Well, let me explain that as well. Anything that is within you that is of the old, of the fading, dying, dissolving old 3rd paradigm is coming to the surface very rapidly. And the more you are anchored in your role as light-holder, love-holder, pathfinder, the more rapidly these things are going to come up. And in addition to that, if you are truly anchored in this role — and you are; I do not in any way question your heart commitment and your soul commitment, because it is strong — but if you are in this position, what is also occurring is that, as we have said, you are helping those that are still in that outer layer of the old 3rd process and come within so that the whole collective is firmly anchored in the 5th dimension. So not only are your own issues coming up for rapid process, release, readjustment, realignment, you are also doing so in that process for millions. Is it a mighty undertaking? Yes. It most certainly is. Now, the issues that you are processing for that, shall we say, that part of the collective that is still on the scenic route, it is also one of your issues. So if you do not have the question or the issue or the vasana of control, of lack, of limitation, of poor health, of family, then that issue will not come to you for the clearing for the millions. But if it is within you and you are processing it, then, trust us, you are processing it for millions. And you say, “Well, that’s all very well and good. It sounds to us like we are doing all the work.” And I have heard you! Yes, I do not eavesdrop, dear hearts, I hear your prayers. I hear your pleas. We all do. So what I also say to thee is you are being helped. This processing, and the level at which you have said that you are going to do, would bury you if you were doing it without assistance. I do not say that in a way to frighten you at all. But the magnitude of what you are doing is of such a high quality and resonance that of course you are being helped. And you say, “Well, I don’t feel like I am being helped.” And our response to that, yes, even if you do not see or hear, is still to go into the quiet of your heart, to the seat of your soul, at the bottom of what you think of as your heart, and to simply allow yourself to receive. Allow yourself, each and every day, particularly you light-workers, to receive and feel the vibratory work that we are doing with you, and to pay attention to what you may feel are slight changes, but in fact when put under the microscope are not only essential, they are massive. I have heard your argument, your plea, your prayer and your scream, and so has the Mother. In fact, we all have. When you say to me — and when I say me in this context I mean the collective we — when you say to me, “Well, Michael, I could do a much better job if you would just give me the money. Then I wouldn’t be worried about paying my bills, my rent,” et cetera. And I am using money this day because I have been accused of ignoring the basics of human survival. That is not so. So you say to me, “Give me the money and I will do a better job.” And what I am saying to you is two things. First of all, if you had all the money that your heart desires or could possibly imagine, then what you would be doing is working not on the clearing of the money issue for the millions, you would be on a different mission, and that would be one of charity. And that may or may not be what you have chosen as one of your soul missions to complete the Ascension process for everybody and with everybody. The second piece of that is that while you are thinking or believing and having these feelings of insecurity, what you are also doing is being catalyzed mightily by every single atom in the universe to create. Because it is not simply about clearing. It is about shifting into your creator self and letting that bright spark of divinity come to the forefront. So, part of your Ascension process, and part of the claiming, awakening, anchoring of your full heart consciousness, is this recognition brought into physicality of your ability to create. Now, you have had a very visceral, visual and real example by your star brothers and sisters over Russia that we are not going to let you perish, that you will only go so far. It is like the mother who is trying to teach the child to swim and not be afraid of the water. That doesn’t mean that we are going to allow you to get in way over your head. So if there is an element of control, that is it. Now, let me speak — and I know I go on, but, dear Steve, dear Graham, this is a very important issue that you have raised and one that has not had enough discussion. AAM: Do we control? Yes. If I, independently, through this or any other channel, or simply through visitation, if I or we were to give you the totality and the fullness, the impact of our full energy, it would lay you flat. It would burn your circuits. You would feel not elated, but overwhelmed, and somewhat in your electrical, mechanical system would be short circuited. So, I think I explain it in physical terms. Now, for example, when we do this wonderful program with you that you allow us to come forward and speak to your hearts, to your minds, to your beings, we are not only sharing information, we are sending throughout the airwaves the energies of our essence, of our love, directly into you. And that is so much more important than any words I could ever speak. Similarly, when we participate on the Golden Age of Gaia, the information is important to your mental body, but the fullness of the gift is within the totality of the transmission. And it doesn’t matter if it is under the guise of simply an article of interest or as a channeling, the energy transmission and transfer and transmutation is taking place. That is how… one of the ways in which we are working with thee. But what do we control? We control the vibrations so that it’s raising you slowly, like the tide coming in. Now, the tide doesn’t take that long to come in, and it raises rather rapidly, even in your reality. So we go with the tide rather than the tsunami, which would simply make you hang on to a tree and pray for survival. So, that is one of the things we control, is the level at which we join with you. But as your levels are coming up, as your frequency is being raised, your vibration attuned, adjusted, then we come more and more and more, so that it is more fully the level playing field that you have asked for, and that we have planned for, forever. So, in that level playing field where we are co-creators and Ascension is just that, that the love is together, and yes, in physical form, then all the rest of the old, of the lack, of the limitation, of death, destruction, disease, war, is gone. So, we do control the pace of things at times, but we do not do so to in any way withhold; nor do your star brothers and sisters. We are just doing it at a pace that is compatible, because the entire idea, the plan, is for you to maintain your physical form. Think of it, when someone who is currently in physical form dies. And I speak in generalities. But what is this death process about? It is about not merely breathing stopping or brain function ceasing or the heart ceasing, it is the moment at which the being leaves the body and relinquishes control. And as soon as that happens, there is a momentary transference where those who are the guardians or the greeters, as you may think of it, lift up the body, the being, not the physical form, and take control, because that being, that soul, that energy, is immediately brought up to the highest level of bliss, of joy, of One. Will there be teaching, adjustment? Yes. But in that moment of departure, that shifting of control takes place. And it is very easy. It is how it has always occurred on your planet for a very long time. But this is not what we want and it is not what you want; you don’t want to end your life. So that point of meeting has to be very gentle. It has to be engineered and it has to be such that it doesn’t take you out of your body. Now, I have spoken enough on this situation. I ask you to proceed. SB: Okay, Lord. Thank you. I’d like to come back to it in a moment, but before the program ends I’d like to ask you to comment on two questions. One is whether we go to Inner Earth for our Ascension is by way of light chambers. And the second question is, is there to be an event in March that will bring an end to duality? And after you answer those, we’ll pick up again with the process of Ascension. AAM: You are not going to Inner Earth to work with light machinery, not as a collective most certainly. There may be the odd person, but that is not the process of Ascension. This is not what we have been speaking of for a very long time. Now, I have told you on behalf of many, and the Mother has told you, that the entry point to Ascension, not just the portal, but the entry point is your heart and love. Now, you can say to me, “Well then, Lord, does that mean if, once I have love in my heart, then I am permitted to go to Inner Earth, and then go in a machinery, a piece of technology that will transmute and transform me and elevate me?” No. This is organic. Otherwise, what would have occurred — not just with the Agarthans, who, by the way, have not extended that invitation, or with your star brothers and sisters; they could have put you in light chambers and finished the job. That is not the plan. The plan is — can we say this more clearly? — think of it: surface, collective, humanity, choosing love. And when that is happening — and it is happening as we speak, so you are not looking for a momentary lift-off, you are already in the process of lift-off — that is why we say Ascension is not a distant goal or a distant date, you are right now in the middle of it. So, the answer — and I am sorry if I am too clear for some people, but I have need to speak the truth on this — it is not about traveling to Inner Earth and depending on your inner brothers and sisters to do the job for you. That is not the case. Similarly, it is not about all being transmitted, transported, teleported onto ship while some magnificent event takes place, and then you return to Earth renewed. You are the renewal. You are the Ascension. Now, are there various pieces and elements that are taking place, because this, as you call it, “event,” has such magnificent ripple events — yes, events — throughout, within, above, below, beyond? Of course. But do not look beyond this moment in time. And why do I say that? Because if you place your attention, your heart consciousness, the magnificence of who you are and what you are doing, elsewhere, then you are not present for your own Ascension. SB: Lord, if I could intervene, two things about that: One, there is actually a story going around the internet, or an article, that says there will be an event in March that will bring an end to duality. And that’s what I’m asking you about in the second question. And then the second thing is that, now, I know there’s a way in which this makes sense; I’m just asking you for it. SaLuSa invites us to consider the future shape of the Earth, say, if we’re building Nova Earth. So you’re not saying, “Well, don’t envision Nova Earth.” You’re not saying that, right, when you say keep our attention in the moment? But maybe for our listeners you can make the distinction here. There are times when it’s good to keep our attention in the moment, is it not? And there are times when it’s good to envision our future. Is that not the case? AAM: Yes, it is the case. And I hope to clarify. When I say “in the moment,” I mean specifically keeping the attention in your moment and in your heart in your time, in unit of consciousness, in community, in the building of Nova Earth and Nova You. Now, in addition to that keeping your attention in the moment, it also means keeping your attention in the eternal now. So, in your moment of now you are building the Cities of Light. You are visualizing, imagining, creating — in your dream space, in your heart space, in your collaborative space — not only the divine qualities but the physical attributes of Nova Earth. So, you are building it. So, it isn’t that you — and when I say this particularly I do mean primarily at this moment the light-holders who are doing so many multi-tasking things — that you are not just clearing for the collective, you are not just elevating the frequencies, but at the same time you are also building Nova Earth. So it isn’t that you put, you said, “Well, let’s put Ascension on hold and start building Nova Earth,” or vice versa; they are conjoined processes. SB: And the article, Lord, that says that there will be an event in March where duality will end, is this a true sentiment, or not? AAM: Understand what I have been saying to thee. The old 3rd is dissolving even as we speak. So polarity, duality, is part of that. It has never been part of the clean and clear 3rd dimension. So, is there a specific event? And I am going to exclude one thing here. Short of the Divine Mother making her presence clearly known, which would be far greater than simply dissolving polarity, is there an event that will cause this? No. It is not an event. But is there one event? No. But is there a turn of events? Yes. SB: Well, that is very helpful. Could you, in the time that’s remaining, could you tell us a little bit about the continuing impact and success of containment? Perhaps as specific a detailed an account as you can give us? AAM: You know when we place people in containment — and I use the word people because in this situation we are talking about very specific human beings, as you know. And I would not be averse to going down the list, if you wish. But I also wish to re-emphasize what we have said before, is that containment is something that is done very rarely and with great consideration. And the reason is it does not remove free will but it literally contains free will. The beings that have been put in what you can think of, and we know that you are aware that there are various levels of containment, but think of the most epic, and they are basically in light boxes, and that light and love is penetrating them completely and fully, and they will not be released until they have been fully penetrated. That is why that decision is not made casually. It is much more invasive than you are even imagining. So, it is something we do with great respect, yes, even for what you would think of as the darkest players. When we contain them, it is done with a great deal of respect. Now, those who have been in key positions, leadership positions, are being kept in those containers of light until they are extraordinary… not just that the darkness has fled or been cleansed, but the plan on our side is that they are being kept in that realm until they are extraordinary light beings. So, it is almost as if when they re-emerge you will barely recognize them. Now, you say, “But, Lord, we are still witnessing some terrible atrocities on our planet.” And as the Prince of Peace and the Warrior of Peace, I am very aware of that. But I also suggest to you that some of those people that you see are almost like puppet shells, and the true person is in a light chamber. Is it being successful? Yes. Now, there are some who have been released from their containment, and they have chosen to come forward to make… to fulfill their mission and purposes. And they were ready to do that. Yes, the Pope was a good example of that. Then there are… there are others, particularly within the financial world, who are returning to put things to rights. Yes, Jaime Dimon is one of those beings. SB: Is Queen Elizabeth in containment, Lord? AAM: She is re-emerging. She is re-emerging. SB: All right. Thank you. That’s been very, very helpful, Lord. Thank you very much. And thank you to our star brothers and sisters for their act in destroying the meteor. AAM: Go in peace, dear friends. Farewell.